Free Delivery and Discounts for delicious meals and desserts delivered to you home from only £2.95. Free from options available including Gluten-Free and Nut-Free. Wiltshire Farm Foods have a range of food products. They have free UK delivery and plenty of options available for you to choose. 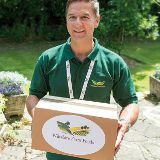 Meals are delivered free from a Wiltshire Farm Foods depot near you. Enter your postcode here or call the 24 hour Customer Helpline on 0800 077 3100. Lots of gluten free choices for people who suffer from Celiac disease from as little as 95p for delicious desserts. Lots of Vegetarian choices for those who prefer to eat meat free with free delivery. What you see is what you pay with no added delivery charge. Enjoy a delicious Chicken, Turkey or Duck meal delivered free to your door from only £2.95 per meal. When you log on to the Wiltshire Farm Foods website you will see that they have a range of colour-coded options for you to choose from. Some of these options include chicken, pork, lamb, gluten-free, egg free, soya free and even dairy free. There are also flavour options as well, including Indian, Chinese and many more. This alone makes it very easy for you to navigate and it has never been easier for you to find what you need either. We clicked one of the products to try and find out what they have to offer. When you click on a product, you will see that there is the option of gluten-free and whether or not it is one of your five a day. On top of this, you will see a dietary information box and this will show you what options you get when you purchase this meal, for example, whether it is egg free, dairy free, shellfish free and more. You also have a description of the product and various reviews at the bottom of the page. If you scroll down a little bit more, you will also see some information about other foods that you may also be interested in so there are many options available. When you want to add an item to your basket you will first need to make sure that they deliver to your area. You will see a total price and at this point, you will also be able to change the quantity of items that you have. After clicking on the next button, you will then be able to tell them whether you have purchased from them before and you can also tell them if this is your first time ordering or not. You will then need to enter your email and your password so you can log into your online account and this way you can keep a track of the items that you have ordered from them in the past. Wiltshire Farm Foods deliver to any address in the UK and they have over 70 outlets in the UK. When you purchase your food, you will be told which team will be delivering your food for you. If you find that one of your outlets isn’t that close to you then that isn’t a problem at all because you still won’t need to pay for delivery. Every delivery that they make is free but some items that you do buy may have a minimum value. When you buy from the site, all you need to do is order your meals as often as you want and there is no commitment either so you can order a delivery whenever you want. Wiltshire Farm Foods don’t offer returns but if you are not satisfied for whatever reason then all you need to do is tell the driver. Alternatively, you could always send them an email or give them a call. They will then replace your meal for free and they will also give you another meal as well so you can always count on them to guarantee your satisfaction. It is a good idea to keep the film lid on your meal so you can give this to your driver. The returns team will then get in touch with you to make sure that they render the situation as much as possible. Follow Wiltshire Farm Foods on Social Media to pick up plenty of nutrition tips, take part in competitions, plus updates on deliveries especially during bad weather periods. You can follow the team on Facebook and Twitter to keep up to date on the latest voucher codes and offers plus tasty meal options.